CURRENT VERSION: 1.0.1. NOW WITH 1.9.2.2 Security Patch Support !!! 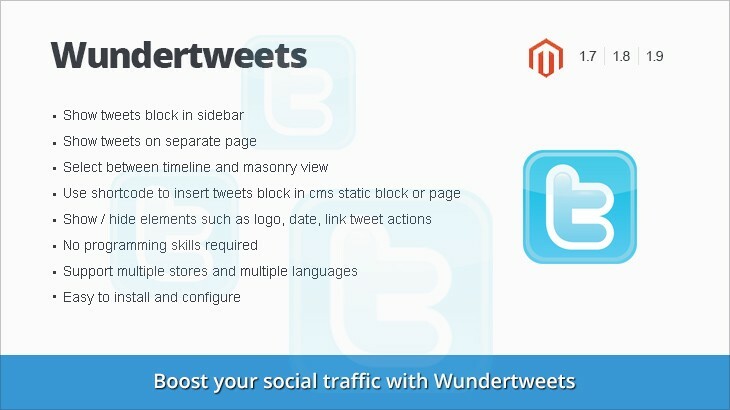 Wundertweets magento extension add twitter functionality to your store. It is user-friendly and customizable. Display your twitter feed, search by hashtag or show your list of tweets. Using twitter widget is effective, but it is limited for design customizations. With a bit of html knowledge you are able to create your own view. Show Wundertweets on sidebar or separate page. 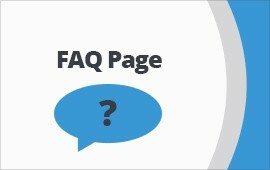 Select between timeline and masonry view. 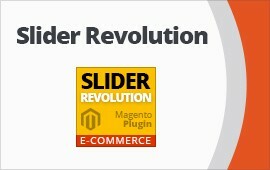 Add Wundertweets shortcode to any cms block.